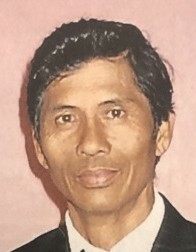 In loving memory of Victor Vista Gonzales, who was born on February 10, 1942 in Pangasinan, Philippines and has left us all on March 30, 2019 was the greatest and most loving husband, father, grandfather, and friend. Even though being with him was very trivial, he loved everyone in his life. He wasn’t the type to express it, but we knew deep down he cared and wanted the best for us. There were days where he would wake up before the crack of dawn, head to Imperial Beach, and start fishing the whole day. He cared so much about his family, friends, and religion. He lived a very hardworking and meaningful life. Victor accomplished so many things throughout his lifetime. We will miss him so very much. We love you!